As of yesterday, I couldn't be more tickled to tell all of you that I've been featured in the March issue of Matchbook Magazine! And since I'm running unbelievably late this morning (per usual, I know), I figured I might scoot you over there to check it out. Special thanks to Katie and Mackenzie for having me and of course, to the talented Wes Sumner, who was the man behind the lens for it! I can't stop blushing, guys. Seriously! I'll be posting more from our photo shoot throughout next week but in the meantime, hope you enjoy the sneak peek above! 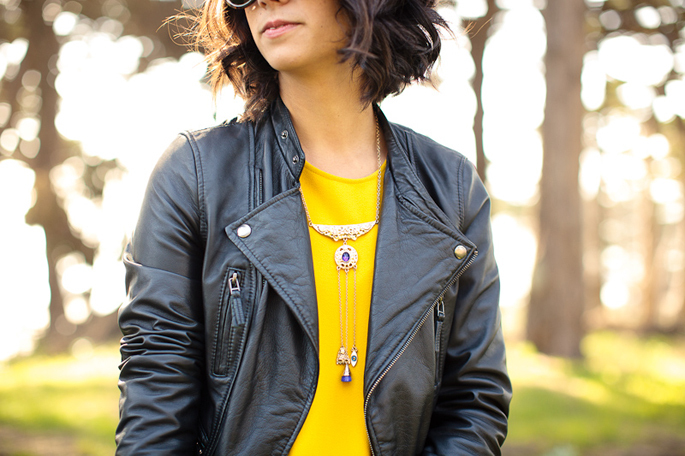 Your gold and purple necklace is so cool! 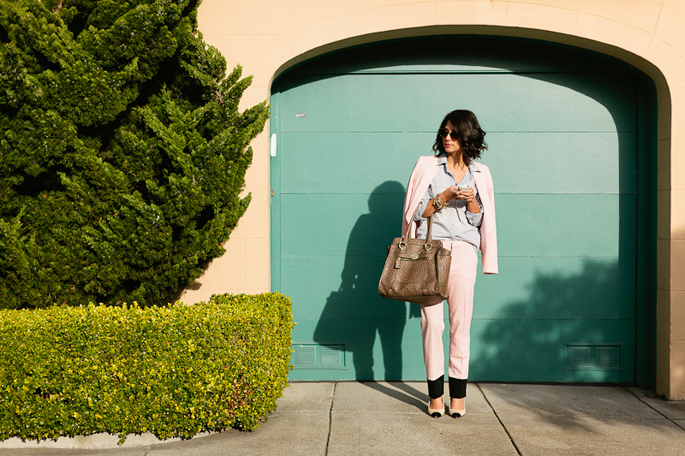 I adore those flower print trousers, they are gorgeous! I saw you in Matchbook and was really excited to learn more about you, plus the outfits were amazing. Happy Friday! Congrats on the (well deserved!) feature! These shots look great, I look forward to checking out the whole thing! You look incredible Krystal! Congrats :) All the outfits are styled to perfection. congratulations, what a fun feature, very well deserved. This the dress under the corset, the spread looks very modern and chic, beautiful! WOW! congrats! And you look beautiful!! you deserve it! you have amazing style! What an amazing feature!! You look spectacular in every shot and I love the outfits you picked! :-) STUNNNING! congratulations! i am such a fan of yours and love reading your blog. you have great style. I adore the pants with two colors!!! Amazing! I so love your style. Congrats girl! So exciting!! I love your dress with the leather detailing (i believe) Super cute! Congrats on the feature. Love your outfit. You look stunning. As always! Congrats Krystal! i love the flower printed dress! how awesome! congrats on the feature! How amazing!! Ahh, you look absolutely gorgeous in every photo. Congrats on the wonderful feature. That's wonderful!!! Congratulations!!! You look amazing on the photos!!! 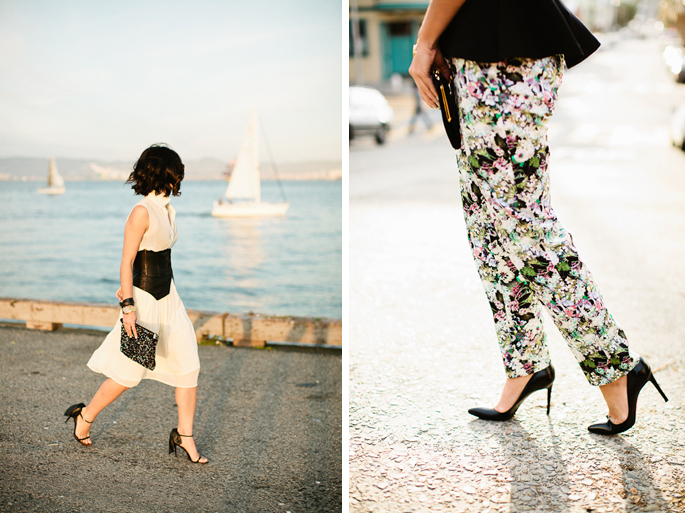 Love your cap toe pumps in the last pic! Congratulations on your feature! Love the outfits! Your feature was absolutely wonderful. I loved reading about what inspired you to start your blog and your time as a reporter in college. I also loved how you said " I've always loved the idea of polished dressing turned a little bit on its head." I totally agree. Your blog inspires me all the time and it inspired me to start my own blog. I hope you'll visit sometime. Krystal, you so deserve the feature!!!! I am always so inspired by your looks. You rock! Congrats! I definitely love your blog and your style! Super inspiring for me! Love it! Check out my blog when you can for a giveaway with Frock Candy! Thanks Krystal! Ah congrats on the feature!! Wow congrats! That sounds amazing and you obv look so gorgeous in every one of those photos! Congrats on the feature, beautiful photos! Congrats on the feature! Gorgeous photos! Congrats!! Love the looks you chose, specially the one with the flowered pants. Congrats on Matchbook! Great outfits! i think i like the last shot best. Congrats. I can't wait for next post. you've got such great style!